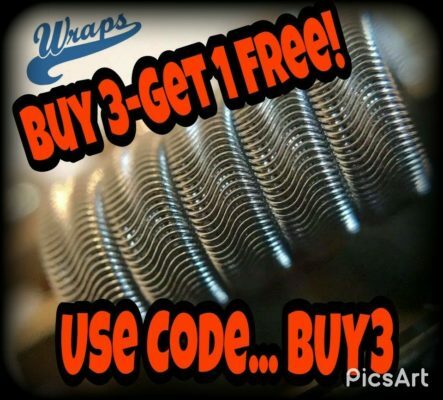 We love to help you with any type of coils and configuration you need! Please take a moment to tell me what you’re looking for… Wire size, wraps, inner diameter and ohms. If you would like to include the devices you are using and the RDA’s or Tanks you’re using, feel free. I just want to make sure you get perfect coils that will fulfill your needs. Please be as detailed as possible with your request for special coil configurations… We’d love to make sure you exactly what you need!